Of Poseidon | What YA Reading? This is an interesting premise, and one that I greatly enjoyed. Nevertheless, I did have some issues with Of Poseidon. And however few these issues may be, they’re serious and they need to be confronted. Firstly, Rayna is a mermaid princess who has made her passionate desire never to mate incredibly clear. However, not only do those whom she trusts not take her seriously on this affirmation, but they go behind her back and go against her wishes. When she truthfully points out how awful and twisted this is, one would think that her family and friends would finally listen to her– but this isn’t the case. “Starving,” Galen and Toraf say. Rayna rolls her eyes and stomps to the table. As entertaining as it is to see Rayna act like a foot-stomping child, this juvenile portrayal of her only sickens me more. It’s one thing for her friends to be non-supportive and not take her wishes seriously; it’s another thing entirely for Rayna to write herself off by acting so melodramatically. I’m not even going to get into the reasons for Rayna’s desire not to mate– revealed later in the novel– because I wouldn’t be able to do so without using some serious sentence enhancers. Yep, not pretty. Suffice it to say that Anna Banks does not address this issue once throughout Of Poseidon, and that is certainly not okay. Every self-respecting part of me is screaming right now. Continuing with the subject of equality, Emma does clearly not value her human rights. Galen is so possesive of her that I’m tempted to laugh– does Miss Banks honestly think that we teenage girls find that crap attractive? I’m sorry, honey, but this isn’t a Nora Roberts novel from the 90’s; psychological abuse is so ﻿passé,﻿﻿ yes?﻿ That whole scene involving the car, that guy– what’s his name, Marc?– and Galen’s “serial-killer eyes” just doesn’t work for me. Sorry. You might want to try again when blackmail is legal. To progress onto a more positive note (yes, there are positive notes), Of Poseidon contained a great deal of easily enjoyable aspects. The world building was amazing; I loved the house of Poseidon and that of Triton, and I loved what separated the two clans. I loved the biology when it comes to the contrast between a human body and a Syrena one.I loved the Syrena mythology and history and artifacts and customs. I loved the historic treasures hidden under the sea. 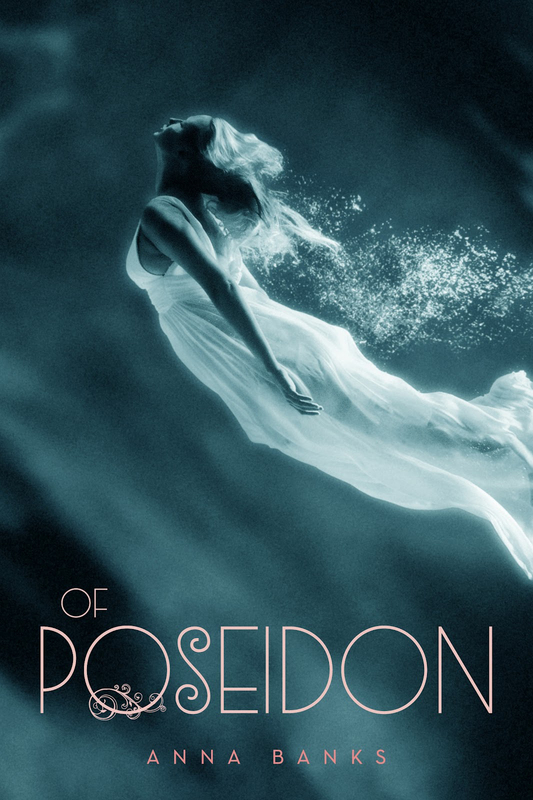 Unlike most reviewers, I was also hooked on Of Poseidon‘s plot. I finished the novel in a day and a half, scarcely being able to put it down for mealtimes. I didn’t see the ending coming at all– quite frankly, I’m still in shock over the twist– and can’t wait to read the sequel. You may attribute this to the fact that I read this book fueled on 4 hours of sleep and a freakish inability to sleep on airplanes, but if I was reflective enough to notice the characters’ lack of self-respect, than I should have been able to spot an apparent twist in the plot, right? Right? In any case, Of Poseidon merits 3.4/5 stars. This is a great read as long as you don’t dig too deeply. Avoid any philosophical rumination on doormat Syrena princesses, possessive stalker mermen and slightly foreseeable endings, and you’ve got yourself your next read! Enjoy it. Pingback: Dark Promise: review and character interview | What YA Reading?